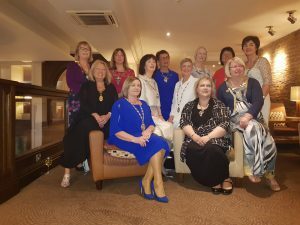 Members from SI Kenilworth, SI Rugby and SI Solihull, joined President Jan from Midland Arden Region as delegates of the 52nd SIGBI Conference in Killarney C0.Kerry on the weekend of the 19 May 2018. A warm Irish welcome was received. The Conference theme was empathy and the guest speakers at the Conference included a representative from the travelling community in Ireland, a CEO of a large International Pharmaceutical Company and a MEP. All speakers emphasised the importance of mutual respect and understanding and the opportunities available to us all to make a difference. Seven of us also took the opportunity to enjoy some of the countryside around Killarney and a short city break in Dublin before returning to Kenilworth.